Enjoy a cup of coffee in the morning or a drink at the end of the day on the farmer's porch. The open space concept provides a great environment for entertaining. The private backyard lends itself to cookouts and family games. Park your car and walk to the beach, Nubble Light House,York Wild Animal Kingdom and Amusement Park. Enjoy a game of golf at Cape Neddick Country club. Kayak around Nubble Light House! Experience scenic Route 1A biking or running. Enjoy the evening sunset on the farmer's porch. Cottage is located on a private road with 2 parking spots. A pet friendly property with a private backyard with grill. A fully equipped kitchen with all updated appliances. Tastefully decorated, warm, cozy and inviting after a day in the sun. For many years, our family enjoyed summers at York Beach. My adult children treasure those years and the relationships they made. York Maine is a unique town that maintains its historic character. Large pleasant home, convenient to both beaches. My husband and I enjoyed our week-long stay. The house is larger than I had pictured and the porch was great. Very clean. We ate out often so not having a dishwasher was fine. Perfect home in a perfect location. Home was very clean and had all amenities for staying an extended period of time. Less than .5 mile walk to Short Sands Beach and York Beach area restaurants and shopping. Very dog friendly area. We look forward to staying again at the Irish Mist. Great Place for a family. It is wide open for entertaining, a great porch for enjoying the outdoors (always a nice breeze), and comfortable chairs to sit in. The owner is great and very hospitable. She loves animals so our dog was happy there. The kitchen is well equipped with everything you need. The grill is brand new and has all the options you need to cook. The beds are comfortable and the house has been updated. The lower level has all you will need for the beach. All in all this is a great place to go and relax on a vacation. You are only minutes from the village and the beach. We look forward to going again in 2014. We found this property to be all that the ad promised. It is very neat and clean, with a very well equipped kitchen. The dining area, living room, and bedrooms are comfortable, with a homey feeling. The owners, Charlene and Tom, met us when we arrived, and answered all of our questions; they also told us to call if we needed any assistance. 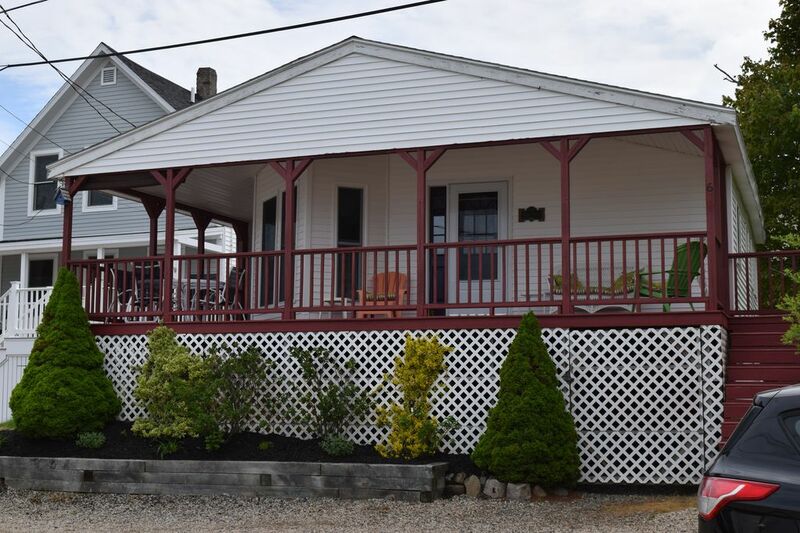 In short, we would recommend this cottage to anyone looking for a great, pet friendly vacation spot in southern Maine. It is an easy walk to the beach, shops, and restaurants, and the outlets in Kittery are a fifteen minute drive. Ogunquit, to the north, is also a short drive, with lots of shops and restaurants. Take a trip and enjoy this cottage!